We have an awesome deal on the World’s Smallest Camera Drone + 2GB Micro SD Card in the Geeky Gadgets Deals store today, you can save 50% off the normal price. 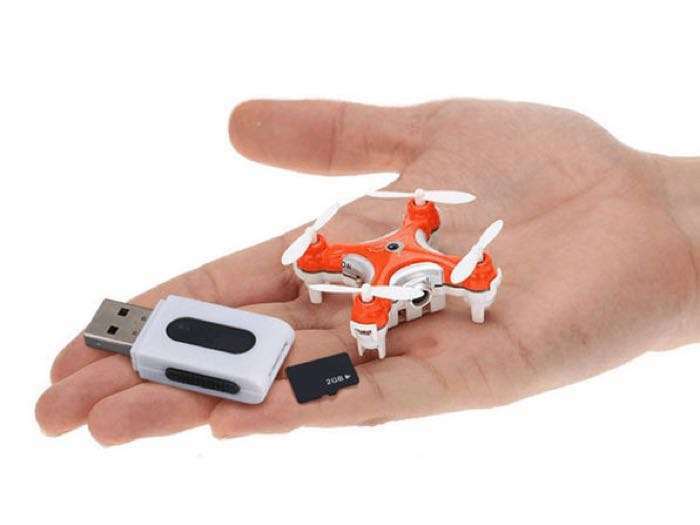 The World’s Smallest Camera Drone + 2GB Micro SD Card is available in our deals store for $24.99, it normally retails for $49.99. You can find out more details about this great deal on the World’s Smallest Camera Drone + 2GB Micro SD Card over at our deals store at the link below.